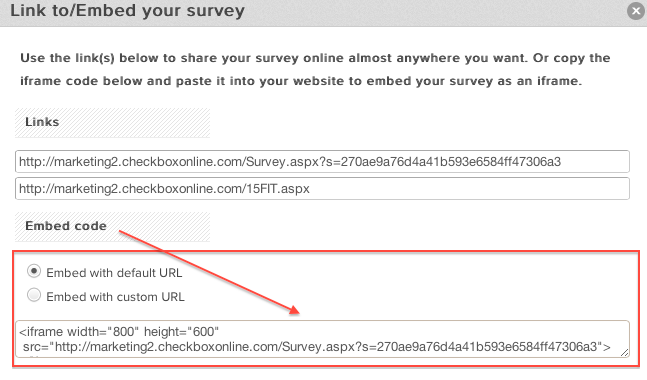 The last option is unique in that it is the only one that does not require potential respondents to click a link in order to take your survey, form or poll. This one extra step could make or break a response, so why not remove the middle man? 2. The embed section of the pop-up window will contain the code necessary to embed in a website. Copy this code and give it to your website administrator to implement on your web page.